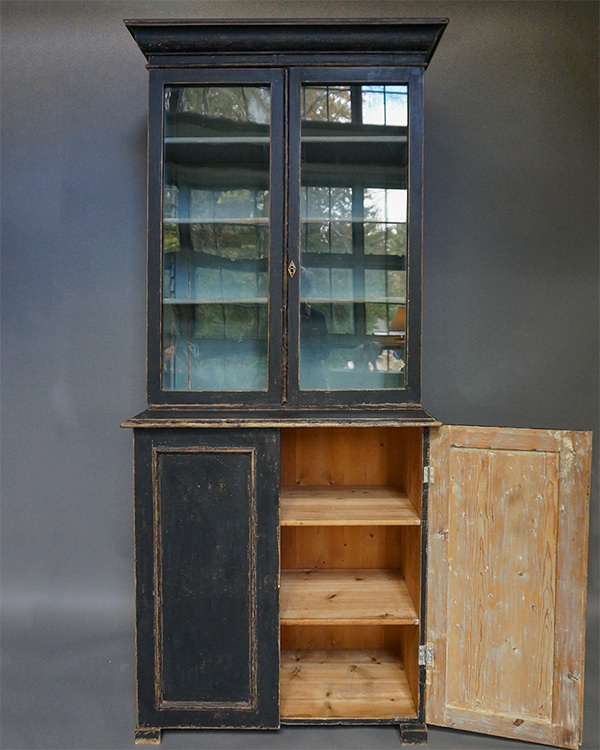 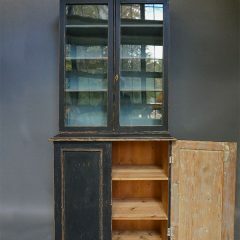 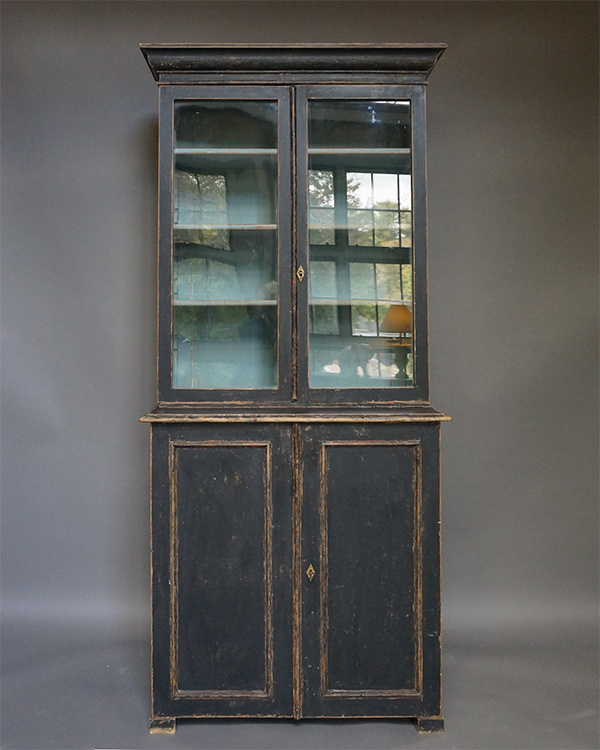 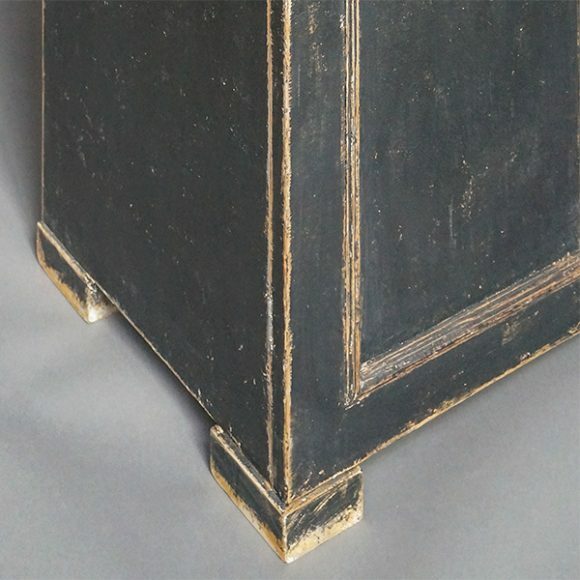 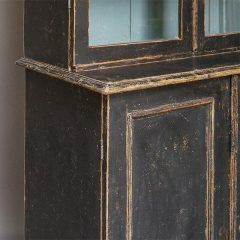 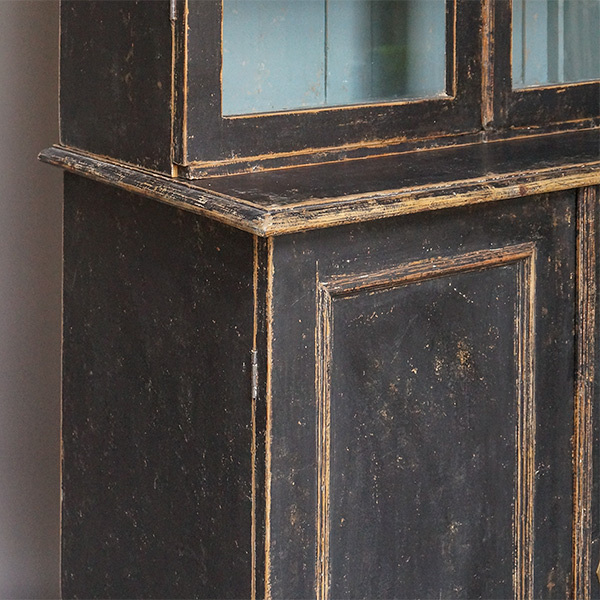 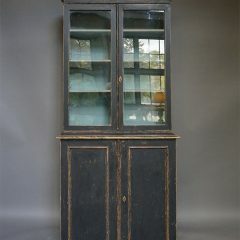 Simple Swedish two-part library cabinet, circa 1880. 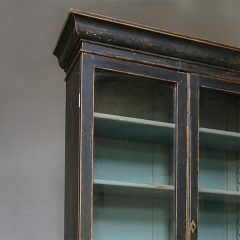 The double glass doors in the upper section open onto three adjustable shelves. The lower section has another two shelves behind a pair of recessed panel doors, all on low block feet.